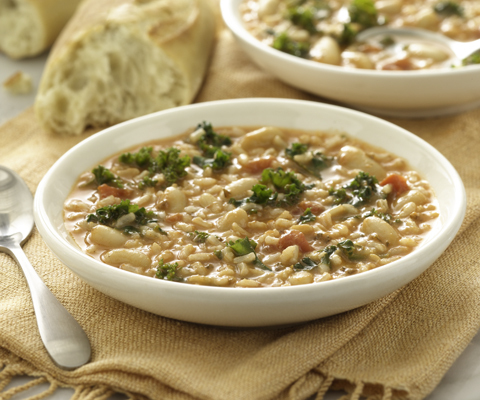 In a large sauce pan, combine sauce, beans, kale and broth. Bring to a boil. Reduce heat and simmer 10 minutes. Stir in rice. I will definitely make this. Maybe delete the rice and add some diced potatoes instead. Temperatures still in the 90's and not quite ready for soup, but this one is #1 on my list. Will leave out the kale and maybe try it down the line with black beans. Hurry fall!! !